It’s been the most wonderful summer for many of us. Months of sunshine, like we remembered when we were kids. Not good for our farmers though. Our green country is now gold. 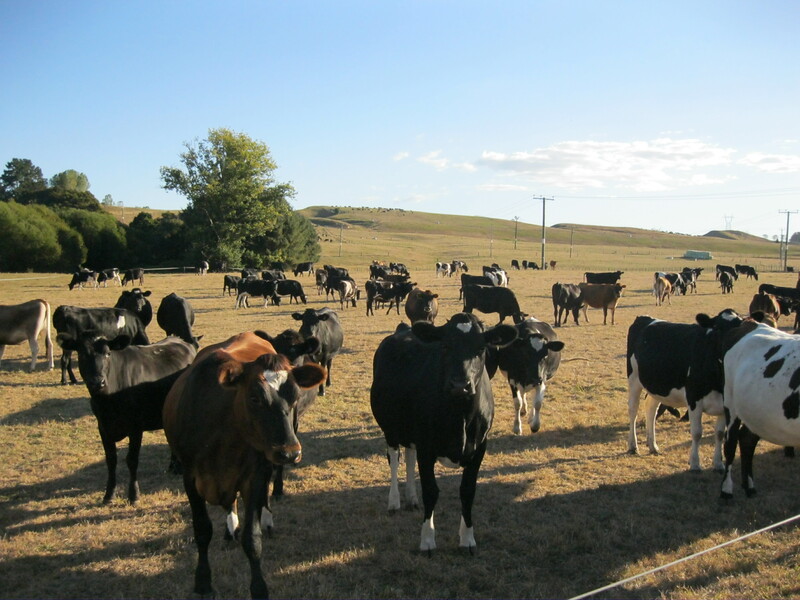 Stock have run out of feed. Cities like Wellington, our capital, are running out of water. “If it’s yellow, let it mellow,” we say. We’re saving the bath water for the garden. Too good to be indoors blogging. It’s been a great season for painting, canvases for me, although my house exterior did get painted too and the garden is no longer like a jungle. I suppose when you’ve only been back to your property four times in seven years, that’s what you can expect. 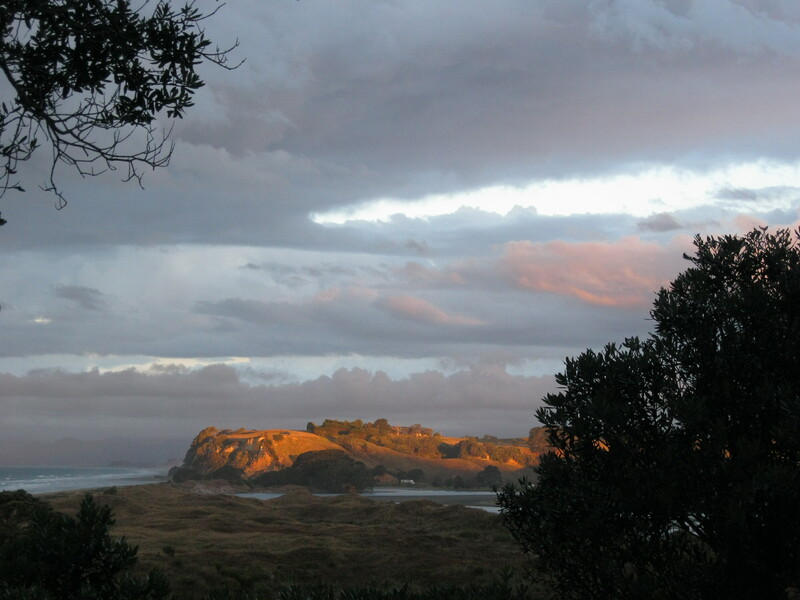 My place is in a rural coastal area of the Bay of Plenty, near Opotiki. The scenery is magnificent and the peace, ineffable. 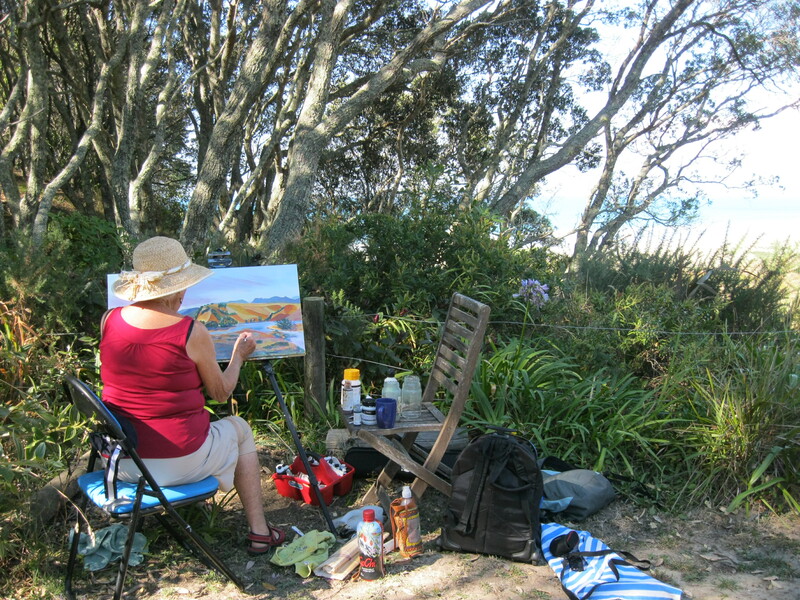 Here’s me painting the Waiotahi bluff, near Opotiki and my beach, all 5 kilometers of it with barely a soul on it. Can’t think that there is no water, we are surrounded by water but not a drop to drink!